Co-Founder Of Cash Money Records Birdman Throws Drink On Rapper Lil Wayne !!! On Rapper Lil Wayne !!! 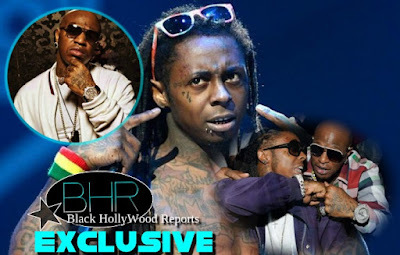 BHR Hollywood Reports......Lil Wayne and Birdman's war is blowing up in public now -- the Cash Money boss dumped a drink on Wayne's head! The massive diss went down in Miami's Club LIV on Sunday night. 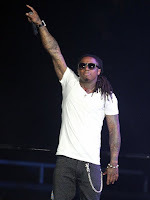 Weezy was onstage, next to the DJ booth when the drink was hurled from a VIP booth above ... where Birdman was standing. You can't see it in the video, but sources inside the club tell reports ... Birdman did it. Also, we're told Wayne was doing his song, "CoCo -- which is basically a diss track against Birdman and Cash Money. Seems crazy they'd show up in the same club -- considering their legal feud -- but both came out for a Jim Jones party. 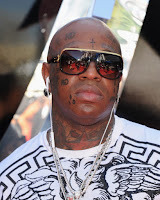 Began when Bryan “Birdman” Williams, the CEO of Cash Money, delayed Lil Wayne’s album, Tha Carter V.
Wayne then wanted out of the label contract, saying he felt like a “prisoner,” but Birdman refused to release him. but also to make him joint copyright owner of all Young Money records.